I bought my 7.62x39 C.A.P.S. upper in mid July and have shot about 250 rounds of the cheapest dirtiest rebranded Tula ammo I could find. Every single round has fed and fired flawlessly. Hits bullseyes consistently at 150 yards with the same ammo. Great job Black Rifle Arms, I am extremely impressed! 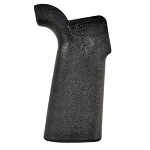 Q: what do you require for a buffer tube/buttstock/spring to run with the CAPS Carbine MOE M lok upper in 7.62 x 39. didn't see any offered for sale at this site. oh yeah; rate of twist? We do not have buffer tube, buttstocks or springs for sale at this time. We do recommend Del-ton or MidwayUSA for such products until we expand our own product line to include such items. Thank you. Q: I'm sold on your 7.62 x 39 CAPS carbine upper. You answered my other questions instantly and thanks for that. Another question: Do you know if this carbine upper will run with a Surefire "bump fire" or other bump fire stocks? Thanks again. A: Our 7.62x39 Piston Uppers will fit any mil-spec lower. We have never used the bump fire stock(s) as we are a Class 2 manufacturer so we run machine guns, so I can't attest to the reliability, but I have heard of other customers who have run them. Q: can the handguard be swapped from Black , to OD green? and is the bolt a chrome one? A: Yes you can. Upon checkout put in OD green handguard and we will get an OD Green on order, during this time we will build up the upper and test fire and then put on the OD Green handguard and ship out. Usually takes about 3 to 5 days to get in a special order, but uppers are built to order and usually take a few days to build up and test fire anyways. As for bolt carrier group. 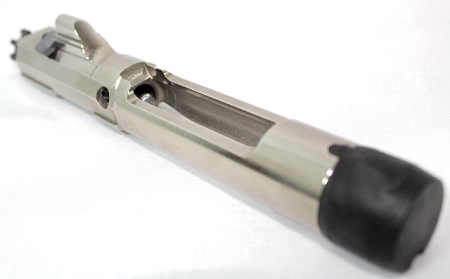 The bolt carrier is nickel boron and the bolt assembly is melonited.